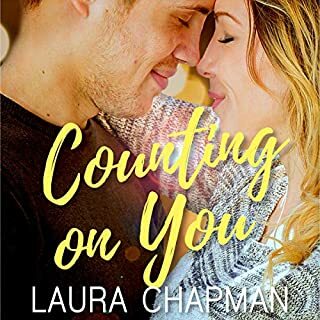 This story has themes I think we can all relate to—wanting to forget a painful past, healing a broken heart, feeling like you’re never good enough and just wanting to be loved for exactly who you are. This story has it all and more and Rebecca Hansen’s bright and cheerful voice helped make this listen a lot less emotionally painful for me than if I’d read it. There are supporting characters who are downright horrible in their behavior towards the main characters and I could feel my blood boil whenever they appeared in a scene! Rebecca infused them with just the right amount of attitude to portray them accurately without being over-the-top in her performance. This is a really enjoyable sweet romance and I look forward to reading and listening to more from both the author and narrator! No spoilers here but let me just say you will be blown away by this conspiracy theory. Cindy Piller gives a wonderful performance and will leave you thinking about a lot by the ending. I don’t typically listen to this type of story because I get frightened pretty easily but Cindy is perfect for this book. She kept me interested and had great energy throughout the story and her voice distinguished between the characters well. 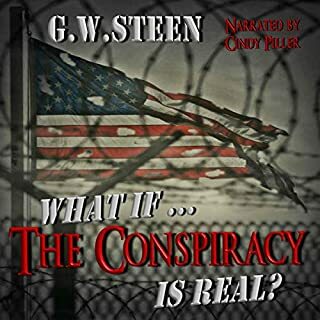 Buckle up and get ready for a great listen! Tricia LaVoice’s life turned upside down when her parents were tragically killed in an automobile accident. Her close relationships with her mother and father made everyday life afterward a challenge. Happily married and with a beautiful baby girl, Tricia had no time to fall apart. 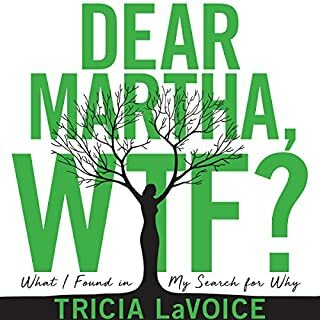 Over the years, as her family grew, Tricia met two strong, dynamic women, both survivors of their own life challenges, whose wonderful friendships and unconditional maternal love and strength guided her to trust in life. I am very grateful for the gift of this story. Tricia’s healing journey inspires me to continue on my own spiritual path towards finding peace in my life. It takes courage to speak our truth but the healing power it provides others is a gift that helps free us. Thank you. I am grateful. 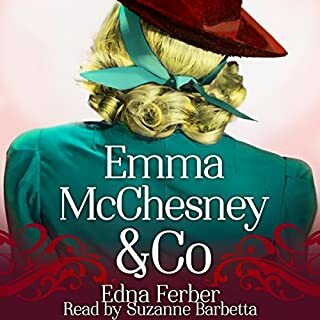 In this final book of Pulitzer Prize-winner Edna Ferber's series featuring the indomitable Emma McChesney, Emma's newly married son Jock has relocated to Chicago, leaving Emma an empty-nester. Her secret romance and pending nuptials stall when their company is thrown into an uproar at the height of the selling season. To defeat her long-time nemesis and take the T.A. Buck Featherloom Petticoat Company international, the always-competitive Emma sails off on a whirlwind tour of South America. Pulitzer Prize-winner Edna Ferber created three wildly successful books featuring the business adventures of a dynamic, divorced single mother at the turn of the century. The first book in this classic series introduces listeners to the engaging, beautiful, and quick-talking Emma McChesney, traveling saleswoman for the T.A. Buck Featherloom Petticoat Company. 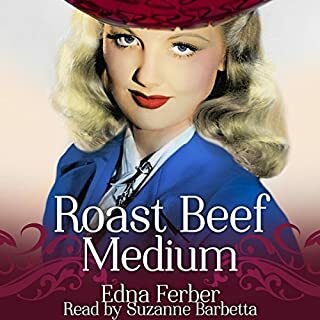 Emma's 10 years on the road have taught her that living the Philosophy of Roast Beef, Medium allows her to avoid "moral pepsin" while meeting the challenges required to win in a man's world. A Trip Back To The Good Ol' Days! 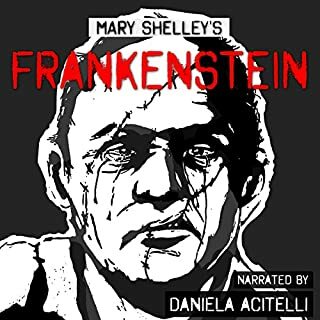 Mary Shelley wished with her classic Gothic novel Frankenstein to "make the reader dread to look round, to curdle the blood, and quicken the beatings of the heart". Mary Shelley succeeded. Victor Frankenstein finally fulfills his dream of creating his own living creature, stitched together from the macabre remains of corpses. To his horror he finds he has created something even more ghastly than in his worst imaginings. Frankenstein has created a monster with a soul! After having seen so many different portrayals of Frankenstein throughout my life on both the big and small screens and in pop culture, I must admit the original story was a very pleasant surprise and surpassed all expectation. This is a heartbreaking and hauntingly beautiful story. Ms. Acitelli delivered a soulful performance with expertise and gravitas. Her voice has a beautiful timbre and intensity that truly made this listen extra special. This was my first time enjoying this classic tale and I loved every moment, thanks in large part to Ms. Acitelli’s fabulous performance. This story touched my heart on more levels than I could have imagined and without giving away spoilers, all I can do is recommend that you listen to this tragically beautiful story about life, love, loss and everything in-between. 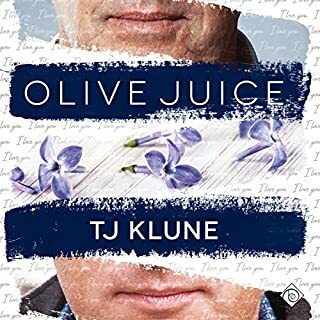 TJ Klune proves yet once again he is an amazing writer and that he's made another perfect decision to have Derrick McClain bring his characters to life. Bravo, Gentlemen!!! > Joi Lansing: A Body to Die For, colorfully chronicles personal and intimate details of the last four years of the talented '50's blonde bombshell star's fascinating life. After three decades of successful TV and movie appearances and Vegas singing stardom, Ms. Lansing died far too young at just 43. Though her funeral was attended by luminaries of the day, (Frank Sinatra sent a huge floral display), her light went out relatively unceremoniously. Celebrity memoirs and biographies are among my favorites to read and listen to and this one made me feel as if I was being transported back to the Golden Age of Hollywood. I felt like I was sitting in my living room having coffee with a dear friend who was sharing her story of life, love, heartbreak and hope. Alexis Hunter writes with honesty, kindness and respect and Daniela Acitelli's deep, sultry voice and emotions made her the perfect match for this story. Her ability to make me laugh, cry and feel everything in between was incredible. What a tragically beautiful love story. 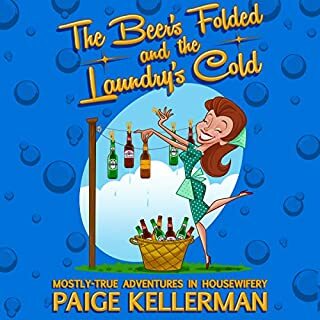 In The Beer's Folded and the Laundry's Cold: Mostly True Adventures in Housewifery, Paige Kellerman follows up her hilarious debut - At Least My Belly Hides My Cankles - with the natural next step-taking on budgeting, babies, and trying to keep the day drinking down to a minimum while staying at home. Hilarious Stroll Down Memory Lane! I loved this listen! It totally took me back to my days of being a young, stay-at-home mom with my two daughters and working husband while struggling (and laughing....yes, sometimes through a few tears) at the realities of every day life. SO relatable and had me laughing out loud many, many times! The chapter about trying to live up to that Pinterest lifestyle had me howling!!! Rebecca Hansen did an excellent job with author Paige Kellerman's hilarious and heartwarming take on how life REALLY is for domestic goddesses everywhere! Bravo, Ladies!!! If you're the type of person who likes memorizing dry dictionary definitions, find a different book! 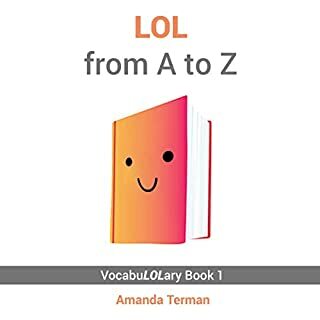 But if you want to laugh while you learn new words, LOL from A to Z will show you how. Featuring entertaining examples you'll easily remember, the first installment of The Vocab Book series presents simple definitions of 26 advanced vocabulary words ranging from "abasement" to "zeal" with a little "morass" in between. LOL Fun For Word Nerds Like Me!